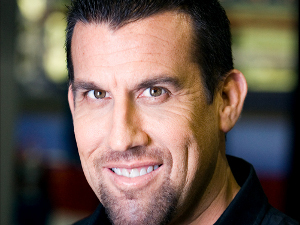 After officiating UFC on Versus 2 the past weekend, Big John McCarthy won't be present in the upcoming UFC 117. After officiating UFC on Versus 2 the past weekend, Big John McCarthy won’t be present is the upcoming UFC 117. A representative from the California Athletic Commission confirmed to MMA that McCarthy is not going to referee any fights for the upcoming pay-per-view on August 7 at Oracle Arena in Oakland. The said commission is the one who assigned him on the Versus 2 fight in San Diego. Last Sunday, McCarthy was the man who officiated for two prelims, watching over Brian Stann and Mike Massenzio. The latter lost by a triangle choke. He also officiated Jacob Volkmann’s win over Paul Kelly. By the main card, he presided over Yushin Okami’s decision over Mark Munoz. The Veteran Referee has been officiating in the MMA history for ages. Not until he signed off with his brief retirement on 2007. He worked as an analyst in a Canada-based Fight Network and he made waves with his analysis. He announced going back to the cage and has been given limited opportunities inside. Despite his absence on UFC 117, McCarthy will be seen on other California Events. Meanwhile, according to the athletic commission of Nevada’s Executive Director Keith Kizer, McCarthy hasn’t got his license though his application is still pending. They prefer a limited number of officials and rarely gets additional referees. The seven referees currently licensed in the state include Herb Dean, Steve Mazzagatti, Mario Yamasaki, Josh Rosenthal, Yves Lavigne, Kim Winslow and Chris Tognoni.